Product information "Sachtler System 18 S2 ENG 2 D"
When you need stability for payloads of up to 35 kg, you don’t have to give up on lightweight design and easy transportability. The Sachtler ENG 2 D Aluminum Tripod is an alternative to EB-carbon fibre tripods, which gives you the versatility and robust performance you need to shine whatever environment you are operating in. Balancing speed and precision, the quick clamping system locks the tripod legs in seconds so that you can get to work quickly. This a dual extractible, aluminum ENG tripod features a diameter of 16 mm and a 100 mm bowl base. 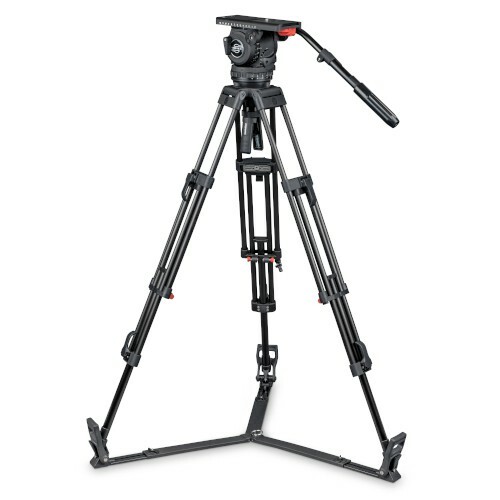 The ENG 2 D’s double extension delivers optimal stability with extended height of 1.5 m, making it an ideal solution for news professionals that need the ability to set up and go at a moment’s notice. Related links to "Sachtler System 18 S2 ENG 2 D"
Our comment on "Sachtler System 18 S2 ENG 2 D"
Customer evaluation for "Sachtler System 18 S2 ENG 2 D"